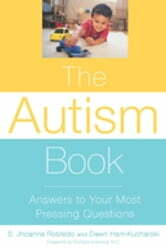 Answers to more than one hundred of the most frequently asked questions about autism, a disease that affects an estimated one in 250 children. At the age of two, Dawn Ham-Kucharski's son, Alex, was diagnosed with autism, and she was given little hope that he would ever express himself verbally or interact meaningfully with others. But, now at the age of six, Alex is an uplifting autism success story, due to his mother's tireless efforts to seek out an appropriate treatment program, educational plan, and socialization strategy. 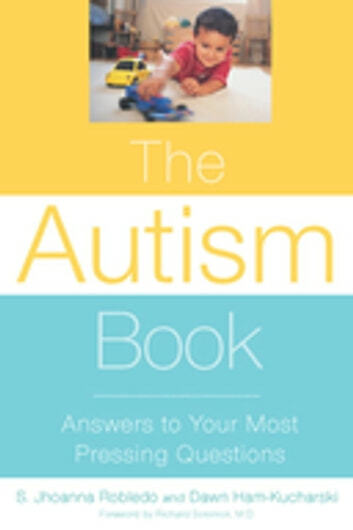 In The Autism Book, health and parenting journalist S. Jhoanna Robledo and Ham-Kucharski, an impassioned advocate for educational opportunity for autistic children, use their hard-won knowledge and experience to objectively and compassionately answer the most urgent questions of parents and educators of autistic children. The authors offer comprehensive information on diagnoses, causes, manifestations, treatment options, managing emotions, family relationships, parenting and lifestyle issues, education, and common worries. Margaret Furtado M.S; L.D.N; R.D; R.Y.T. An Aspie’s Guide to "Faking It"